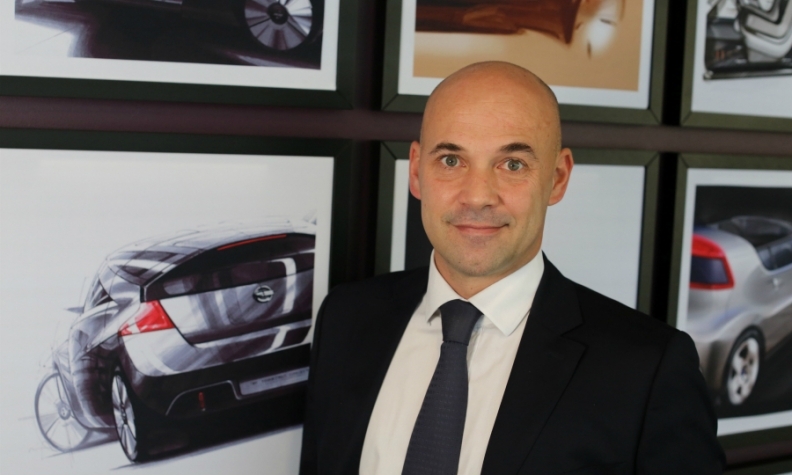 Guillaume Cartier: "Seven years ago we launched Qashqai and we were alone. Now there are 20 cars that are competitors." Nissan has been a big beneficiary of Europe's growing affection for SUVs and crossovers. Led by the Qashqai, Europe's best-selling crossover, SUVs and crossovers accounted for 71 percent of Nissan's sales in the region through six months, up from 66 percent the year before, according to half-year data from JATO Dynamics. Nissan Europe sales boss Guillaume Cartier says SUVs and crossovers, which commanded 22 percent of the European market last year, will soon outsell hatchbacks, sedans and station wagons in the region. He explained why in an interview with Automotive News Europe Managing Editor Douglas A. Bolduc. Do you foresee SUVs and crossovers outselling traditional hatchbacks, sedans and station wagons in Europe before 2020? It will happen well before 2020. I would say 2017 or 2018. What percentage of Nissan's annual sales in Europe are SUVs and crossovers? If you ask me where our sales of Qashqai are coming from I would have some difficulty answering you. Why? Because they're coming from everywhere. That means this concept is answering the needs of most people. And, you have some segments, such as the D-segment sedans, which are shrinking like never before. MAIN CHALLENGE: Remaining a European powerhouse in SUV/crossover sales despite increased competition. Seven years ago we launched Qashqai and we were alone. Now there are 20 cars that are competitors. The same is true for the Juke. It had no rivals and now there are 13 to 14. But the Qashqai remains a strong No. 1 in Europe's crossover segment. Are you worried about holding that lead? We have to remain humble because the only place we can go is down. It's really important to see how you can improve your product and your offering. That is our main focus. Has Volkswagen Group's emissions-cheating scandal had a negative effect on your diesel sales? I can tell you diesel sales will decrease. That's for sure. Had it already started before [the VW scandal]? Yes. If you look at the B-segment [small cars], gasoline penetration is already higher than diesel and diesel continues to shrink. What we see is the take rate is going down by 3 percent, which is significant. We have to produce to meet our customer demand, which could be very different from what it used to be. That’s the simple answer. Are your electric vehicles benefiting from the backlash against diesels? It is helping EVs. We are selling more but we also are launching a new car. Was the increase due to the new car? Was is due to the trend away from diesel? Both in combination create a perfect recipe. How has been the response to the new Leaf with a range extended to 250km from 160km? My order book is increasing. I've got more demand than I'm able to build at the moment. It's a good sign. What advantage does Nissan expect from its strong push into electric vehicles? If we are successful, we believe that we will be perceived as more innovative and this will boost customer acceptance of the brand. What is the magic number when it comes to EV range? The Leaf's range was 160km. Now it's 250km. I guarantee that by 2020 we will be at nearly 500km. When the cars can travel more than 400km to 500km, all the range anxiety will be gone. Nissan also is trying to lure customers to electric vehicles by promoting their total cost of ownership, right? We can and will keep extending the range of EVs and that helps, but there is more we can do to boost the customer benefit. We have a concept that allows you to use the charge from your battery in your home or to sell it back to the grid. It could provide the customer with up to 1,100 euros a year. This is done to showcase that we look at EVs in a holistic manner. Why are you so bullish about EVs? When I look at a market such as Norway, which is 20 percent electrified, I think EVs will take off. Also, and this is key for me, 96 percent of my Leaf customers are super satisfied. It's the highest rated vehicle in our fleet when it comes to customer satisfaction. Based on ACEA's numbers Toyota outsold Nissan in 2015 in Europe, but Nissan says it was No. 1. Why? If you use ACEA's numbers for passenger cars plus light commercial vehicles we are No. 1, if you exclude Russia. But the key point is that we need to elevate the perception of this brand. If we achieve that, the number of cars we sell, the market share and the profit will follow.